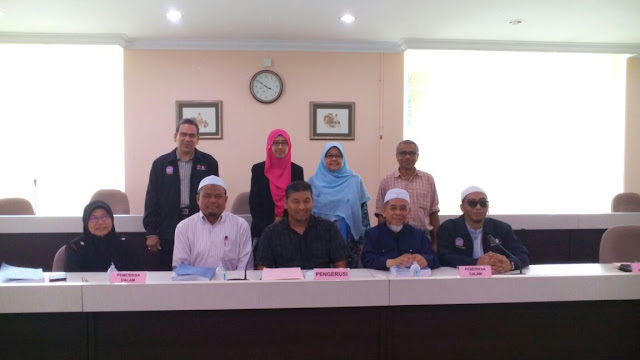 Memory terakhir di Center for Islamic Development Management (ISDEV) University Sains Malaysia. Azuar defending his thesis while he is watched by his friends and supporters. The Monday of 8 August, 2016 augured well for Azuar Juliandi. It was the day that he had been waiting for. It had finally arrived. It was the day of his viva voce. 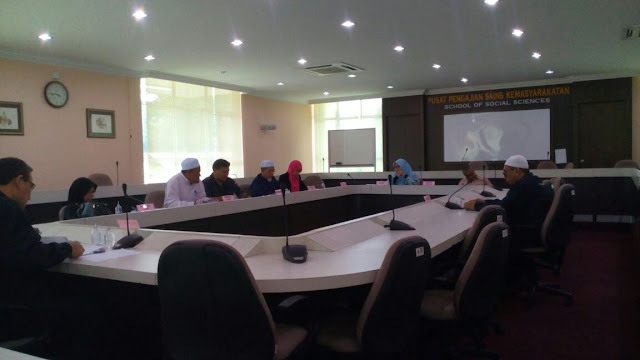 It was the day to prove and defend his PhD thesis that he had worked upon for the last six years devoting his life on ""Budaya Organisasi Menurut Tasawur Islam" (Organizational Culture According to Islamic Worldview). 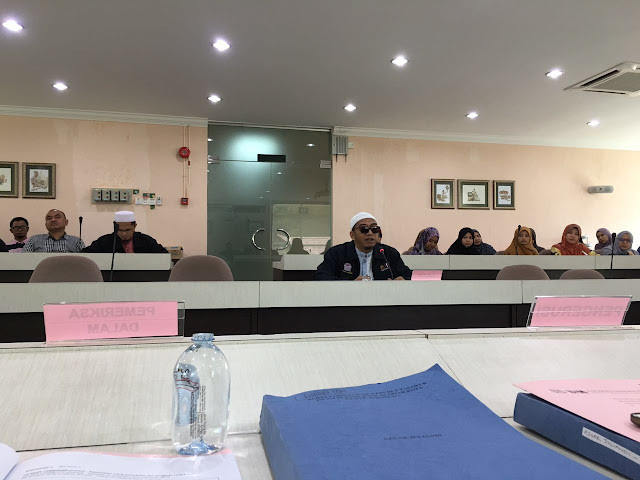 His viva voce which started at 2:30pm took place in the Conference Room of C06, School of Social Sciences, Universiti Sains Malaysia (USM). Azuar during viva presentation before the Board of Examiners. Alhamdulillah. It was good news for Azuar as well as ISDEV fraternity. His viva voce which took a little more than an hour ended with such superb serenity and calmness. When the result was announced that he had succeeded in his viva voce with a Scale of "2", Azuar was speechless for a brief moment to let the words of the Chairperson, Professor Dr. Muhammad Kamarul Kabilan Abdullah from the School of Educational Studies, USM, sank deeply within him. Azuar with ISDEV lecturers during his mock viva voce. Prior to his viva voce and being true to ISDEV tradition, a mock viva for Azuar was arranged prior to his actual viva voce. On 5 August, 2016, ISDEV lecturers and students gathered at the Meeting Room of C05 to listen and witness as well as to gauge Azuar's preparations. In the meantime the nawafil solat hajat was carried out for Azuar at Masjid Al-Malik Khalid, USM in the morning of his viva. Associate Professor Dr. Zakaria Bahari (seated - 2nd from left). Being an accomplished academician himself, Azuar is currently a lecturer with the Faculty of Economics, Universitas Muhammadiyah Sumatera Utara (UMSU). He has contributed at least ten publications in all throughout his candidature as a RISDEV (ISDEV by Postgraduate) student. His writings have been published in journals, separate chapters in three different books that mostly centred on Research Statistics, Research Methodology for Business and Quantitative Research Methodology. He also actively shares his knowledge on research by using the website through his blog which can be accessed at http://azuarjuliandi.com/.